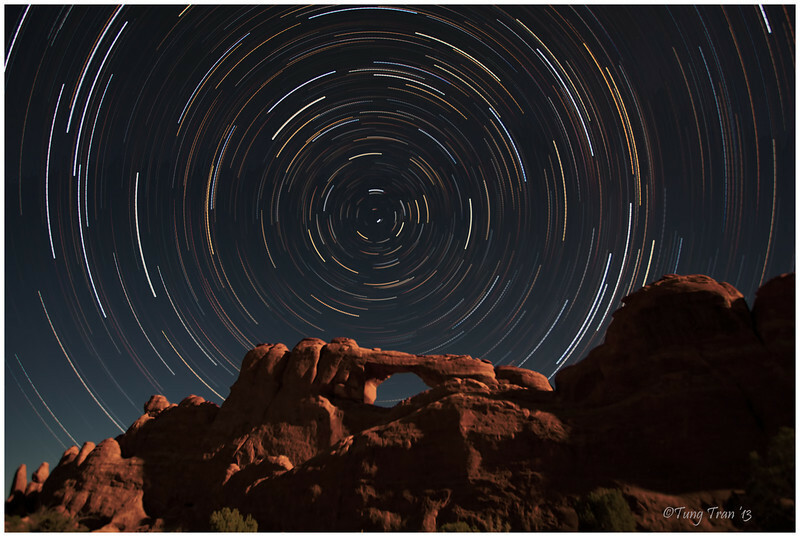 Star Trail over Broken Arch, Arches National Park. This photos is composed of 30 exposures of 4 minutes each. (Total 2 hours).